The National Council of Young Israel (NCYI) sent a letter to New York City Mayor Bill de Blasio and Schools Chancellor Richard Carranza and urged them to take action after The Beacon School, a New York City Public School, recently held a moment of silence for "Palestinian victims" associated with the protests at the border fence separating Gaza from Israel (a copy of the letter is attached and the full text appears below). As a multi-faceted organization that has ably served the broader Jewish community in North America and Israel for over a century, we are writing to express our grave concern regarding a troubling incident that recently took place at The Beacon School in Manhattan. We read with great disappointment the disconcerting news accounts of the moment of silence that took place last week at The Beacon School as a tribute to the victims who perished during the protests at the border fence that separates Gaza from Israel. How or why a New York City Public School would allow a school-wide pronouncement of this nature to be made is unfathomable. Dragging students and faculty into the middle of a heated debate about Middle East policy in a coercive manner that caused discomfort to a number of students due to the acrimonious nature of the Arab-Israeli conflict is beyond the pale. 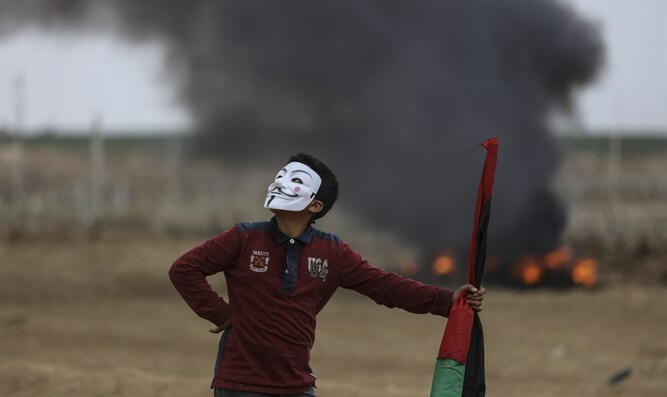 As you know, the protests at the Gaza border were anything but peaceful, with Hamas leaders encouraging the protestors to surge towards the fence in a coordinated effort to breach it and storm into Israel. Israeli soldiers stationed at the border to safeguard its nation’s citizens faced an onslaught of rocks, firebombs, and other flammable and explosive devices from the Palestinian protestors. In fact, a leader of Hamas acknowledged that fifty of the victims were indeed members of Hamas. The fact that administrators at The Beacon School were complicit in the effort to honor a group such as Hamas, which has been designated by the United States as a terrorist organization, is appalling. Hamas openly calls for the destruction of the State of Israel and loathes the United States. This is a terrorist group that has the blood of countless innocent men, women and children on their hands, and their very foundation is rooted in violence and unadulterated hatred. Hamas deserves our scorn, not our sympathy. Honoring the memory of terrorists who seek to destroy Israel, which is the United States’ sole democratic ally in the Middle East, is reprehensible and smacks of anti-Israel animus and anti-Semitism. To make matters worse, The Beacon School unnecessarily made several of its Jewish students terribly uncomfortable in an academic environment in which these young men and women are supposed to feel safe and insulated from such blatant animosity and antipathy. Paying tribute to terrorists cannot and should not be categorized as civic engagement or activism, and the fact that this incident took place in a New York City Public School is deplorable and disheartening. We urge you to promptly and thoroughly investigate this enigmatic episode and institute steps to ensure that students in New York City Public Schools will never again engage in a tribute to terrorists, and to issue a formal apology to the Jewish students and their families for having to experience such an objectionable and offensive occurrence. We look forward to your timely response and are eager to learn about the steps that you plan to take in the wake of this misguided moment of silence.